Clearance(mm): 35 Horz. x 35 Vert. 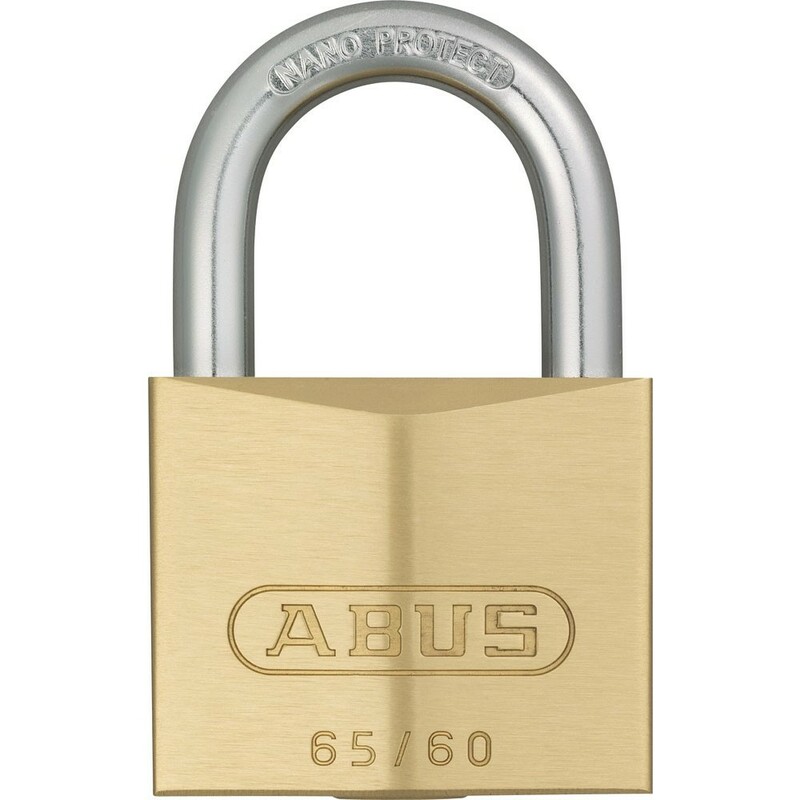 The Abus 65 Series brass padlocks have a body which is made from solid brass, hardened steel shackle up to 30mm and hardened steel alloy shackle 40mm and above. The inner components are made from non-corrosive materials. The precision pin cylinder has mushroom counter pins with the paracentric key-way offering greater protection against manipulation. They are suitable for low to medium security requirements and are also suitable where a strong requirement for service performance and longevity is required. The padlock locking is automatic, it does not require a key.